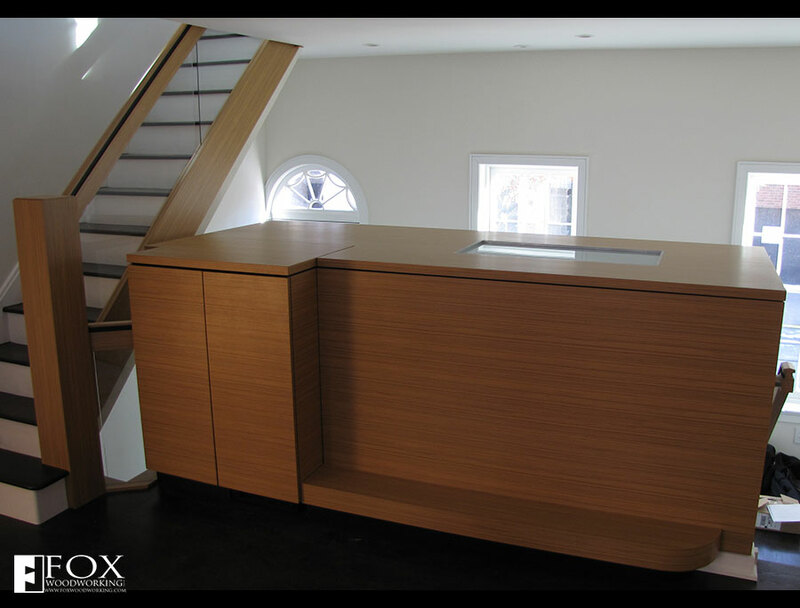 This teak bar uses the same quarter sawn teak veneer from Brookside Veneers that we used in the Teak Kitchen project. In fact, it is in the same house in Center City Philadelphia. 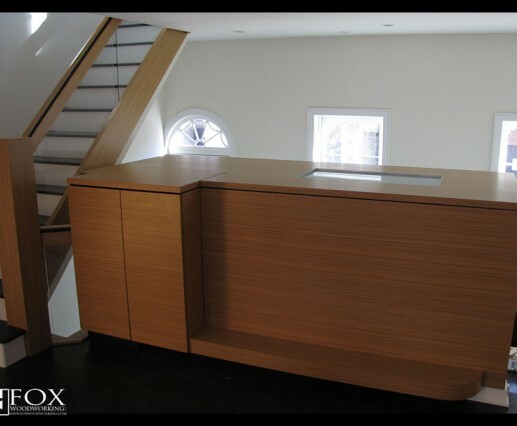 The actual bar portion of this piece is the cabinetry at the left end. The doors use magnetic touch latches and spring loaded hinges while the lid is hinged using SOSS hinges and is held open with lid stays from Häfele. There are plans for a flat screen TV on the large vertical panel to the right of the wet bar. 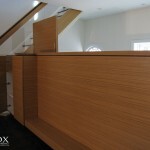 The large top to this bar serves as the roof to the powder room and closet in the entryway foyer. The translucent glass panel is white laminated safety glass and allows natural light into the powder room while preserving privacy.